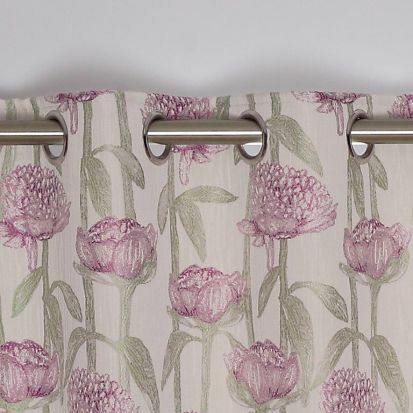 A strong floral design is enhanced by carefully selected material to offer a soft shine that really lifts your room. The interlining doesn't just block out extrior light, it allows the curtains to hang beautifully, and also retains heat in the room too. A stunning, eye-catching design that will brighten any home.